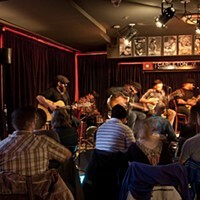 The artist uses trip hop and folk music to declare a call to action on The Fight Within. 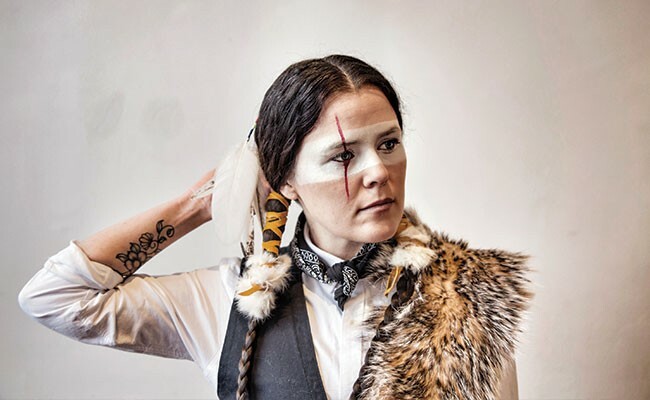 Iskwé, a genre-bending artist based in Hamilton, concerns herself less with how to describe her music and more with the kind of change her music can create. Pulling from trip hop, R&B and traditional folk music, her new album The Fight Within epitomizes both her musical creativity and political charge. "I won't be afraid/lay me down in the shade," a lyric from the towering single "Nobody Knows," can be read almost as a statement of intent for an artist who works across genres to find hope in despair. Iskwé doesn't shy away from darkness or let difficulties discourage her. In a word, she's fearless. 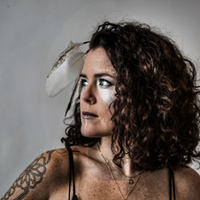 The Fight Within, which was released at the beginning of the month, is Iskwé's first album since her 2013 debut and represents a bold step forward in both sound and subject matter. The record's lyrics often read like calls to action: Iskwé covers topics including missing and murdered Indigenous women and girls, the youth suicide crisis and the lack of access to clean drinking water in Indigenous communities. When sung atop contemporary trip hop production, however, her message feels decidedly uplifting—a message she says she's excited to share with Halifax listeners at The Carleton on Friday. "The Fight Within is meant to be more of a collective fight," she says. "How do we participate in making change, starting with ourselves but seeing that spill over into community, into society, into where we fit on a global scale? And how we can participate in making change for our future generations, so in time we don't continue to repeat the same mistakes that history has made?" Iskwé, who takes part of her Cree name as her artistic moniker, says her Indigeneity is something that influences both the music she makes and the cultural issues she chooses to bring to light. "One of my reasons for choosing that name is that it gave me a sense of strength and connection to that part of my spirit," she says. "To go after something where my main goal, my main mandate, is to raise awareness on cultural issues, I felt it was really important to embrace and honour that part of my spirit, and call on the spirit to walk with me in it." Council approves plans to sell vacant property next to Citadel Hill, and create a new Legacy Room at City Hall, during its last regular meeting of 2017. Twirl at the 15th annual north end dance: The Sounds of Motown; celebrate Sobey Art Award winner Ursula Johnson while you cut a rug; and see a dance tribute to World War Two.